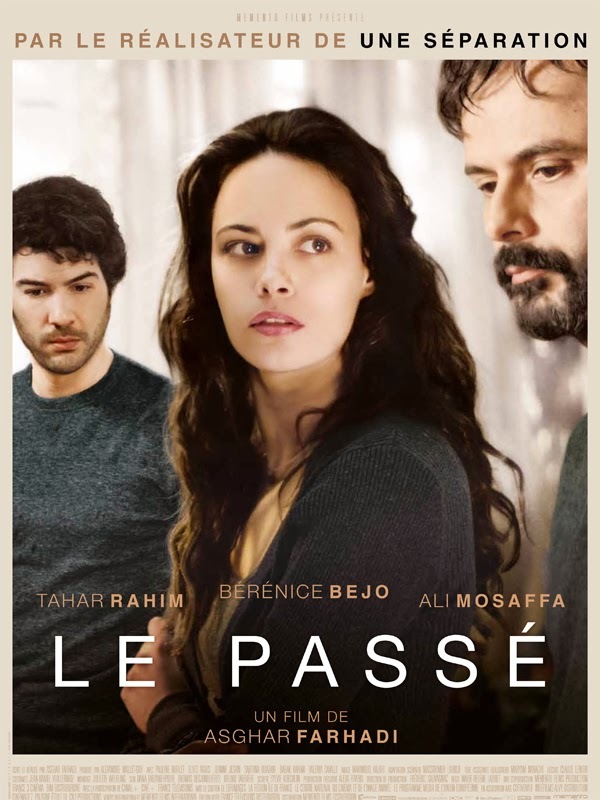 "Le Passé" (or "The Past"), the new film by celebrated Iranian director Asghar Farhadi, was released in select U.S. cities today. Already highly acclaimed for its beautiful and intricate storytelling - a hallmark of filmmaker Farhadi - "The Past" is another unflinching exploration of love, trust, deceit and family and a fitting follow-up to his last film, the Academy Award-winning "A Separation," this time told not only in Persian, but also French. Farhadi portrays humanity honestly, in all its unexpected splendor and sorrow, frailty and strength. Personal relationships are mysterious and magnificent, spectacular and anguished. They are real and they are heart-wrenching. Asghar Farhadi may be the most powerfully expressive auteur in contemporary film. In his latest film, “The Past,” he once again mines the very depths of human emotions, exploring the ways in which we cope with love and loss, and the cruel ways in which the two so often intersect in relationships. The film is part love story, part mystery, as each character's past is slowly and methodically revealed until, in the end, every word and action carries with it the unbearable weight of a lifetime of poor decisions and unmet expectations. Set in Paris, this is Farhadi's first film produced outside Iran. Still, like all leading Iranian filmmakers, Aslan notes that Farhadi's deft navigation of the limitations imposed by the Iranian government's strict censorship laws have cultivated the development of "a highly symbolic cinematic language, a kind of visual poetry that permeates all of his films. A sidelong glance; the slight furrow of a brow; the deliberate way in which one character hands a teapot to another — these subtle actions reveal more about his characters' emotions than anything they could ever say." Indeed, we are as drawn in by the conversations we are not privy to — the characters separated by a glass partition or hidden away in another room, their whispers inaudible to the audience — as we are by the dialogue we hear onscreen. We find ourselves leaning forward in our seats, straining to hear what's being said. We wait for the barrier that keeps us from his characters to be lifted, so we can sneak in on their conversations. We are forever waiting. For what? We are not even sure. Right to the last minute — right up the very last frame of the film — we are waiting. Then the film ends and we discover that what we were waiting for is life — that life itself, for so many of us, is little more than waiting. "The Past" has already picked a number of awards at international film festivals, including Best Actress for star Bérénice Bejo and Ecumenical Jury honors at Cannes (where it was also nominated for the Palme d'Or), the Audience Award at the Oslo Films from the South Festival, Best Screenplay at the Dublin International Film Festival and two prizes at Germany's Tubingen-Stuttgart International French-language Film Festival. The film has also won the U.S. National Board of Review award for Best Foreign Language Film and is nominated for a Golden Globe in the same category. Inexplicably, however, the Academy of Motion Picture Arts and Sciences did not include the film in its shortlist for Oscar contention. Widely considered "a masterpiece" by film critics (and its director routinely referred to as a "master"), The Guardian describes "The Past" as "an intricate and often brilliant drama, with restrained and intelligent performances; there is an elegantly patterned mosaic of detail, unexpected plot turns, suspenseful twists and revelations." Writing in The New York Times, reviewer Manohla Dargis praises the film's "mysteries, surprises and complexities, notably in the representation of the children and in Ms. Bejo’s thorny, layered performance with its strata of neediness, resentment and hope." "As in 'A Separation,'" she adds, "Mr. Farhadi shows a masterly gift for moving his characters and camera through rooms that — with a raised voice, a violent exit — become stages in a ferocious domestic drama. But here, keep your eye on the littlest players, the small ones trembling in the wings." Children open a gate in my films that is a very honest window and it allows the audience to look at the adults in a more honest way. Children are in fact my favorite characters in these stories, and my wish is that the adults would be more like the children. Usually in my films children come out of that initial innocence and it seems like they have grown up, but this growing up is not in a positive way. For instance in this film we see how the adults are training children to apologize and this way of apology is bringing them out of that honest world and instead is teaching them responsibility. So when you start feeling responsible about a certain thing you’re going to count on your behavior, you will weigh your behavior, so your original response won't be as honest. In order to have a political interpretation of a certain work you have to have a lot of knowledge about the certain country, you can't just base your knowledge on a certain work you're viewing at a certain moment. I'm sure that the Iranian audience has a better political understanding of my work, because the Iranian audience has a lot of information about the background of Iran and with very small references they can open themselves to a more complex meaning. But the non-Iranian audience, their knowledge has been fed to them through the media and is usually unclear and distorted. They're trying to make sense about everything based on incorrect information and another thing is that some of the Iranian filmmakers—not all of them—bring their films outside Iran and even if that film itself is not political the directors pretend that it is and this is a way for them to get known and get attention and this is a method I don't like. Considering Farhadi's unvarnished view of human nature, it is no surprise that the themes in the film echo the misconceptions and misunderstanding that are emblematic with the West's perception and portrayal of Iran. As Kenneth Turan of The Los Angeles Times points out, the film "deals with larger questions like the difficulties inherent in finding the truth in a given situation. The human tendency to see and believe what we want to see and believe makes it increasingly likely that in complex situations, even with the best intentions in the world, we will get it wrong."